As California and eight other jurisdictions nationwide face a looming Friday deadline to prove they cooperate with U.S. immigration agents or risk losing federal grants, at least one county has told the Trump administration that it follows the law – despite little guidance on how officials are supposed to show that. Milwaukee County sent its response today in an eight-page letter to the Justice Department, highlighting the conflicting interpretations of immigration law, pending lawsuits and other court decisions that show the county has satisfied its requirements. Officials in Milwaukee and other cities nationwide have wrestled with how to respond to the Justice Department or even how to show proof of compliance. “This quandary stems from the paucity of specific, clear, and actionable guidance from the federal government,” wrote Margaret Daun, Milwaukee County’s corporation counsel. The issue hinges on whether the named jurisdictions decline requests by U.S. Immigration and Customs Enforcement to temporarily hold immigrants deemed potentially deportable until federal agents can take them into custody or turn their attention elsewhere. Milwaukee passed a 2012 resolution that set certain conditions to honor detainer requests. Yet, federal judges have called into question the constitutionality of such detainers, leaving many police chiefs, sheriffs and other government officials scrambling for legal guidance. 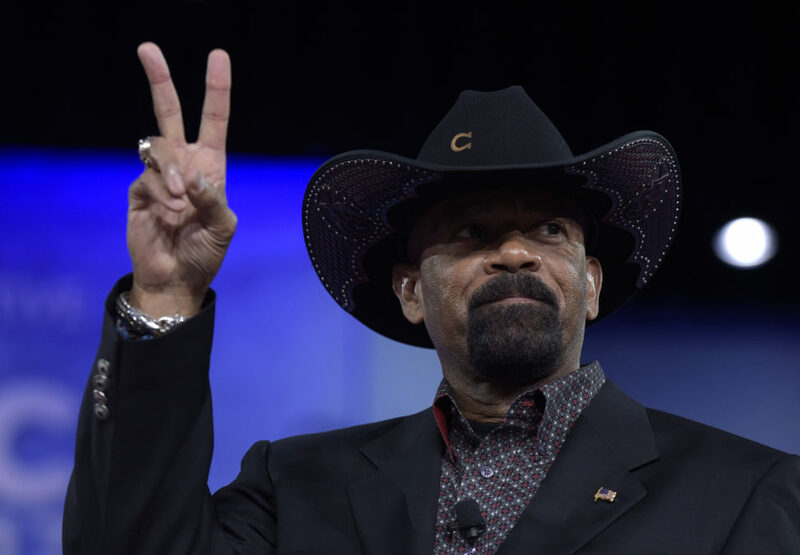 At the same time, Milwaukee County officials largely have been at odds with the county sheriff, David A. Clarke Jr., an outspoken supporter of President Donald Trump and a firebrand conservative who has railed against so-called sanctuary city policies. By honoring such detainer requests – and ignoring county policy – Clarke has cost Milwaukee County nearly $1 million a year, according to the letter. Clarke has faced scandal and lawsuits over the treatment of people in the county jail he runs and following the recent in-custody deaths of four people. He also has displayed interest in enrolling in another federal program that would allow his deputies to receive training to enforce immigration laws. A spokeswoman for Clarke, who recently said he turned down a job in the Trump administration’s Department of Homeland Security, did not immediately respond to an email for comment. Federal officials never confirmed that Clarke had been offered the job, however. In its efforts to crack down on illegal immigration, the Trump administration has focused on cutting off federal funding to cities and counties in an attempt to pressure local governments to abandon policies that limit or thwart police interaction with federal immigration officials. Clarke has supported such calls to cut off federal funding.